Master of our Dreams: The direction we face is our destination! 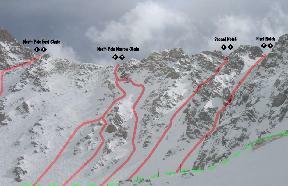 Youtube Video Breckenridge Extreme Skiing Lake Chutes. What can happen if you're not ready. Click on the contact page picture to send an email with thoughts and suggestions. Probably one of the most extreme first descents done on film. Peak 7601 in Alaska. 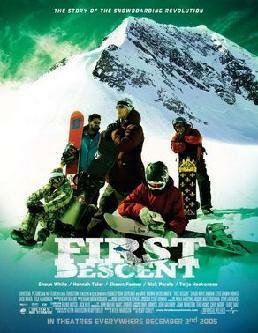 This Youtube video is a must watch, and the First Descent DVD is a must have.. 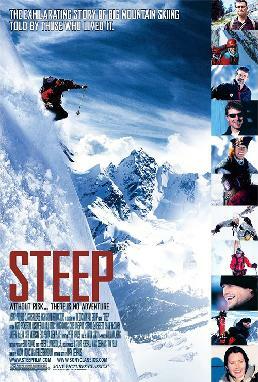 The recently released Sony Pictures movie documentary "Steep" is an excellent film, and is now just out on DVD. Click on the picture to the left to view their trailer, and to get information on where to pick up the film. Youtube Video Water Snow Skiing A-basin The legend. No discussion on this site implies that any 'in or out of bounds' EX areas are safe. 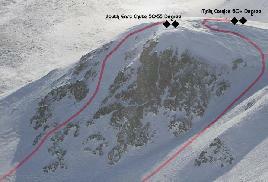 Just like avalanche control is an in exact science, so is skiing extreme terrain for a variety of reasons. With that said, shread up the terrain! !